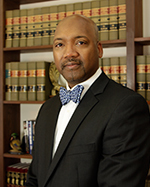 Donald Babineaux - Glassman, Wyatt, Tuttle, and Cox, P. C.
Defended a major tire manufacturer in a premises action stemming from a labor union dispute and succeeded in obtaining a summary judgment in favor of the client. Represented a law firm and attorney in a legal malpractice case and successfully excluded the plaintiff’s expert, which prompted the plaintiff to dismiss the claim. Sought sanctions against a plaintiff for discovery abuse and achieved dismissal of the plaintiff’s claims in an action against a manufacturer. Obtained a favorable verdict in favor of a consumer on a claim under the Tennessee Consumer Protection Act against an automobile dealership. Defended a national transportation company in an action seeking multi-million dollar recovery for personal injuries. Represented numerous employers denying benefits in workers’ compensation claims seeking permanent disability benefits and successfully argued that claims were not compensable based on various applicable defenses under Tennessee’s Workers’ Compensation Act. Presenter, “A ‘Dream Team’ Approach to Handling Workers’ Compensation Claims – Defense Counsel Vie, before Mid-South Workers’ Compensation Association (February 2015). In his spare time, Donald enjoys playing golf and cooking. As a native of south Louisiana, he is particularly fond of Cajun cuisine. In 2013, Donald placed third in the poultry division of the Memphis in May World Championship Cooking Contest with his entry of a gumbo infused Cornish hen.